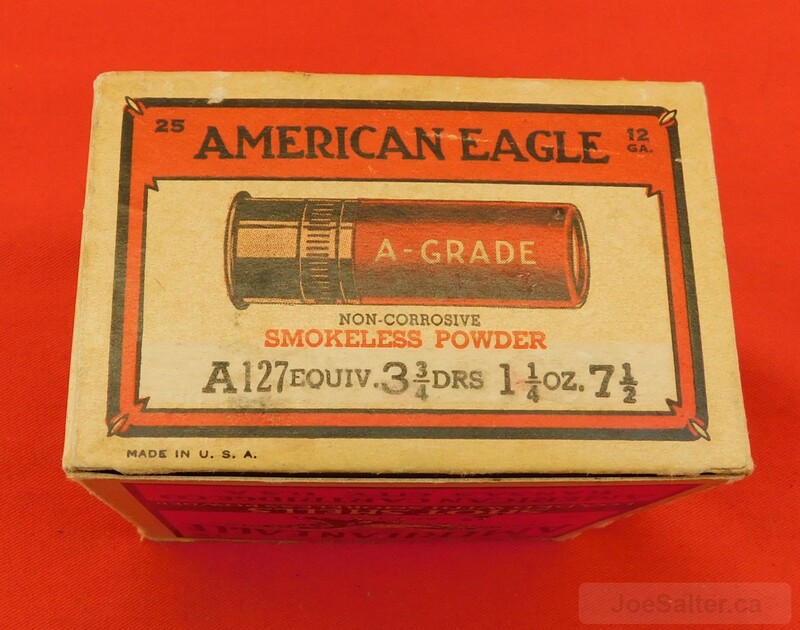 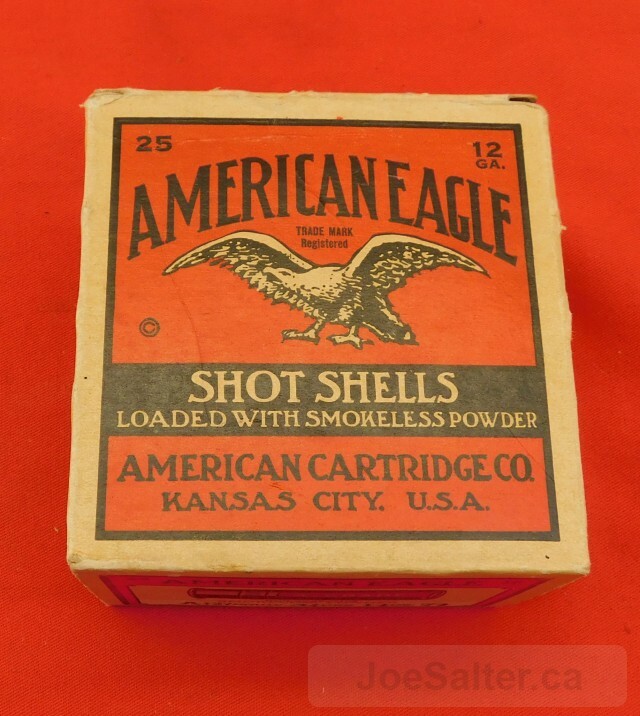 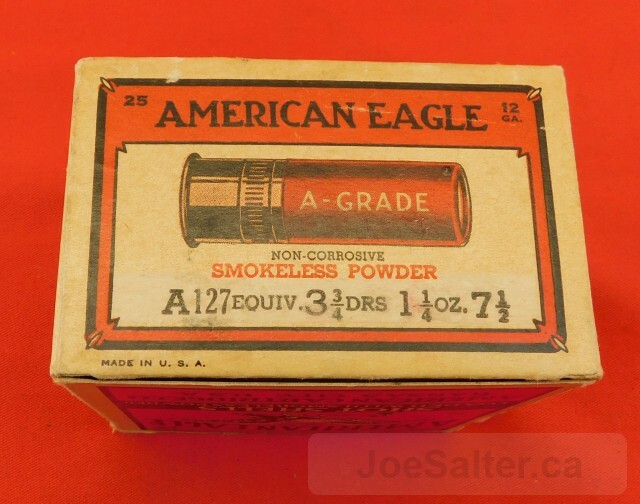 American Eagle 12 gauge shot shells in 1 piece box 7 1/2 shot. 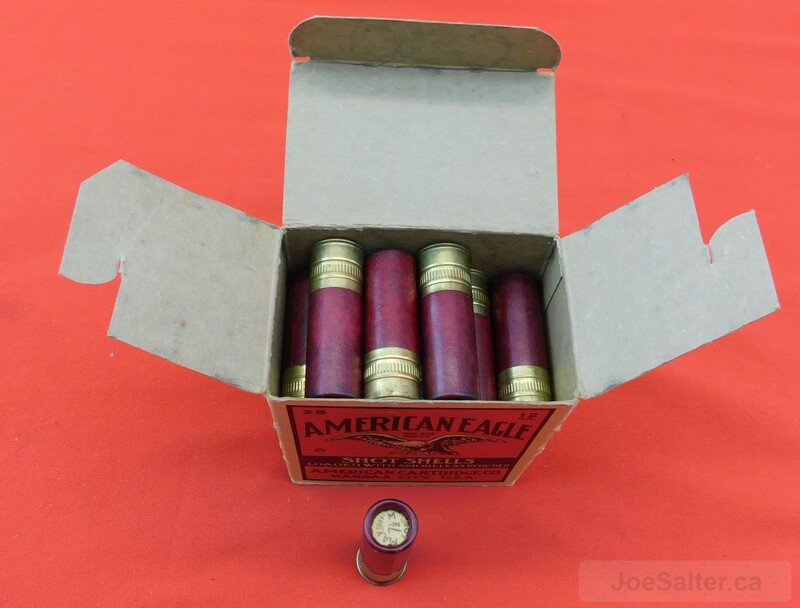 All rounds are in "as new "condition. 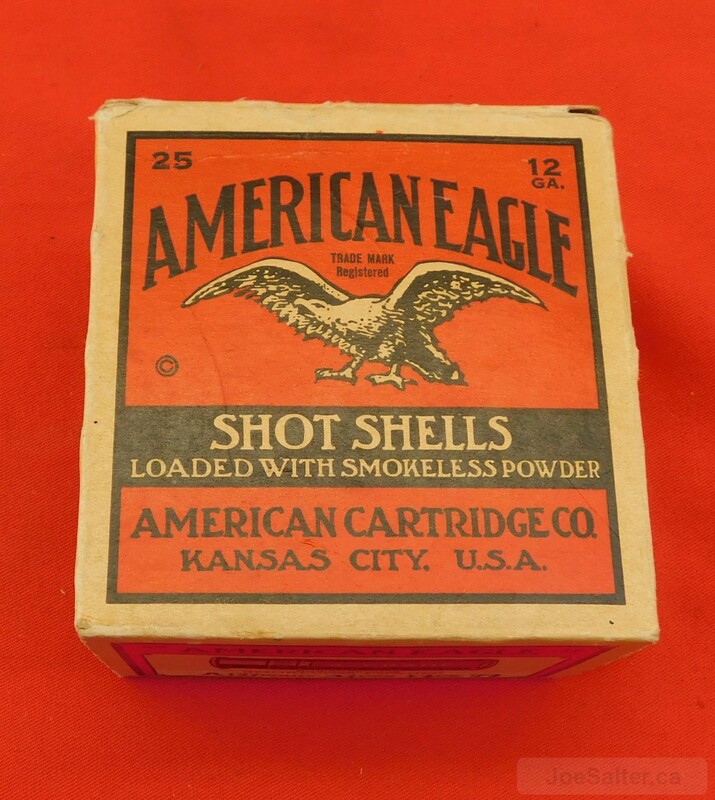 Built by American Cartridge Co., Kansas City this box remains in excellent condition color and graphics .1 round missing.